I love Christmas music. Like love it. It has its own genre in my iTunes library and I consider myself to be somewhat of a Christmas music connoisseur. (Is that a thing?) Starting November 1 every year, it’s pretty much all I listen to until Christmas is over. I was raised on the classics but I also love a lot of the newer, modern Christmas music as well… I have found a few gems in recent years that are amazing – like Chris Martin’s (from Coldplay) version of Have Yourself a Merry Little Christmas – seriously, you will never want to listen to any other version of that song ever again after you hear this one. It’s fantastic. Anyway, since I love Christmas tunes so much, I thought that I would share my ultimate Christmas playlist with you. These are the best of the best… a little bit of old, a little bit of new, a little bit of fast, and a little bit of slow… it’s the perfect festive mix and I hope you enjoy! In addition to the songs above, here is a list of my must own Christmas albums. These are all amazing from start to finish! This is one of my favorite Christmas albums of all time. I can remember listening to this when I was tiny. Tiny. In fact, I’ve probably listened to this album every single Christmas since I was born. Another classic… anybody who listens to Christmas music likely has this in their collection. This album makes me so happy! I’m not a huge John Denver fan on a regular day, but I grew up listening to him because he’s one of my Daddy’s favorites. I can remember him pulling this record out every Christmas season and listening to it on the record player. It brings back the very best memories of being young and innocent and treasuring such a special time of the year. This album is a bit different because the majority of the songs are originals instead of traditionals, but who wouldn’t want to sing along to “Please Daddy Don’t Get Drunk This Christmas? !” It’s quite catchy. Home Alone is arguably the best non-cartoon kids’ Christmas movie of all time, so obviously the soundtrack is a classic. In addition to the version of O Holy Night that I mentioned in my list above, this soundtrack also has the very best version of Carol of the Bells. And let’s not forget “Somewhere In My Memory,” the instrumental theme from the movie… so magical! It’s Michael Buble singing Christmas songs… do I really need to say more? I cannot say enough good things about this album. In addition to “That’s Christmas to Me” in my list above, you must check out “White Winter Hymnal” and their version of “Mary, Did You Know?” I was never a big fan of that song (probably because the only version I had ever heard was Kenny Rogers) so I never really listened to the lyrics until I heard this version. It gives me chills and makes me tear up every time I hear it. Does me in every single time. I think all parents will agree that is exactly how they feel each time they kiss their little babies... sweet little miracles from God! These guys are absolutely amazing! I’ve always loved acapella music, and both of these albums are gems! Sometimes you just need a little bit of jazz in your life! This album is perfect for setting the atmosphere for a Christmas dinner party… perfect! Ah this post just warms my heart! I'm totally with you on Christmas music. I know the lyric to pretty much every Christmas song, and I hope Ben is the same way as he grows up. Also, I need to check out a bunch of these versions! Thanks for sharing :) And, enjoy all that caroling! I love all the Christmas music! 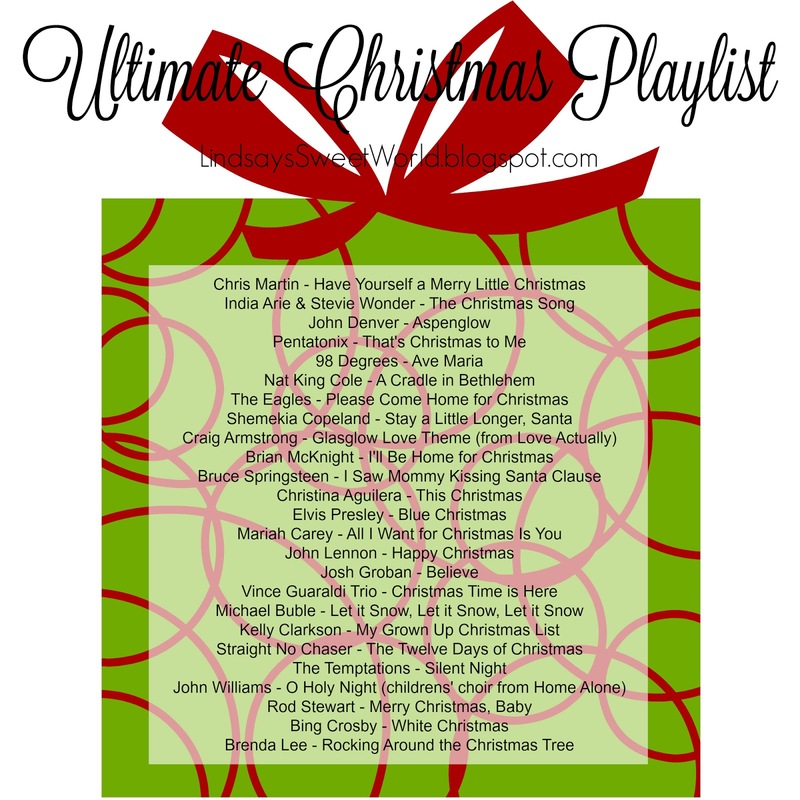 One of my favorites is definitely Bing Crosby - White Christmas. My mom was a huge Amy Grant fan, so I grew up on those Christmas CD's...I have my own copy in my car right now!